Most people consistently fall short of their goals! How can you stop feeling like you’re trapped in your own body? 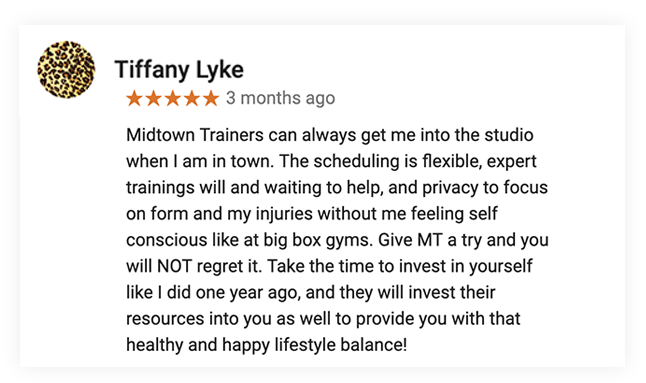 Midtown Trainers is specifically designed to make sure you meet your Goals. We Know You’re Busy – We Offer Flexible Scheduling Options! 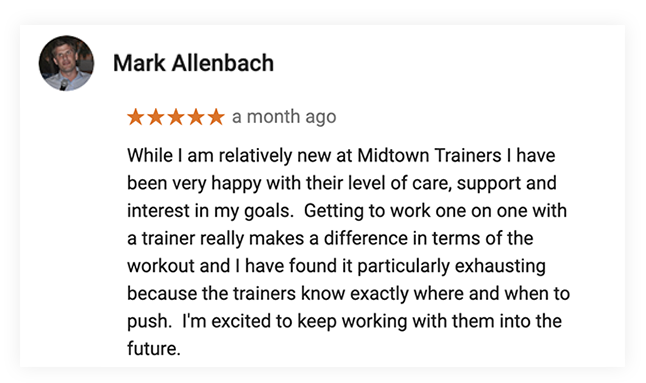 Sign up with your neighborhood personal training studio by taking advantage of this great deal. 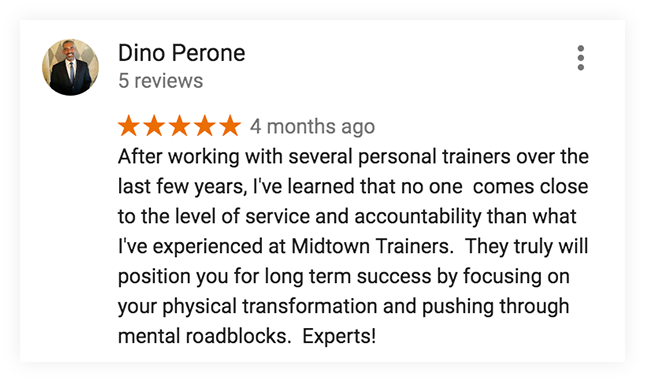 Our personal trainers have created the perfect workout plan that will help you reach new heights in your health and wellness, all while shedding pounds and inches. 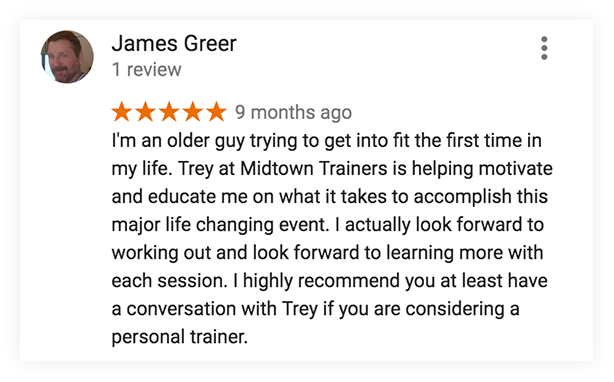 Try our proven fitness system today!